KNM is forming ascending triangle pattern. It break down the triangle support, it might retest MA50 support level. 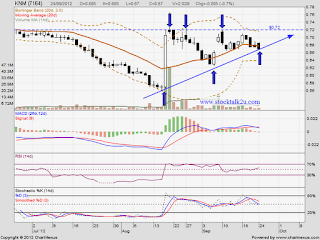 If rebound, immediate resistance would be MA100 level. 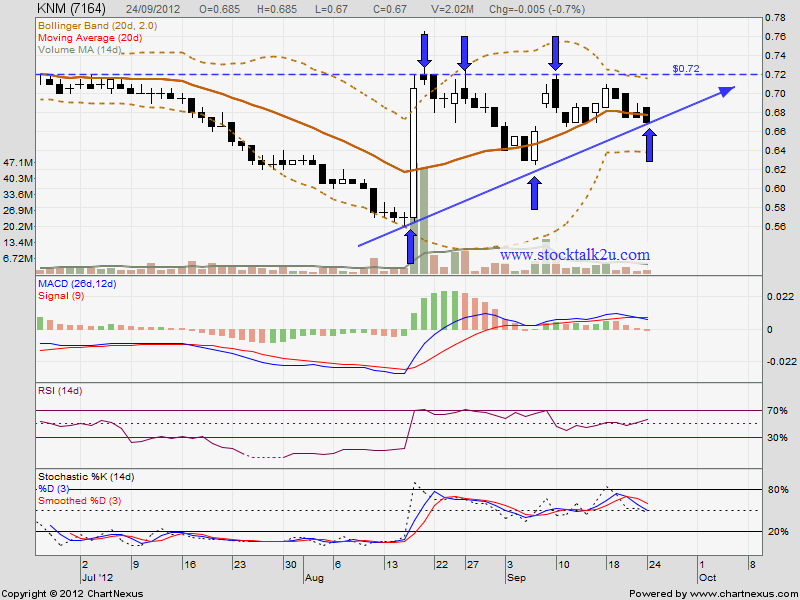 Strong resistance @ RM0.72 level.